New York Painting Services is a full service painting contractor that extends services to the commercial businesses and residential homes in New York and New Jersey. We are completely licensed and insured to offer our professional expertise and services to the community at affordable rates. Our technicians are well trained, experienced, and skilled. With their attributes, New York Painting Services delivers superior quality workmanship. Premium quality equipment, materials, and products exclusive to licensed professionals can contribute to customer satisfaction and maximum results. Our commitment to making our customers a priority is at the forefront of our operation. We instill high moral values, exceptional work ethics, and friendly customer service in all the services we execute with extraordinary execution. New York Painting Services has experience delivering services to create a kids playroom in your New York or New Jersey home. Whether you are looking to renovate, remodel, or create a kids playroom, our experts can make it so. With as little intrusion as possible, staying on point and on schedule, we will get you the playroom we decided on during our consultation. Services that will get your New York/New Jersey home’s playroom in style performed by New York Painting Services include, Interior Painting, Faux Painting, Custom Murals, Wallpaper Installation, Removal, and Stripping, Wall Coverings, Drywall Installation, Repair, and Replacement, Baseboards, Crown Molding, Cabinet Refinishing, and so much more. New York Painting Services Interior Painting, Faux Painting, Custom Murals, and Painting Consultation services that can be very useful when getting the New York and New Jersey kids playroom just the way you envision it. Our experts can get your interior painting covered with crisp edges, full coverage, and do so with efficiency complete with preparatory work and cleanup to ensure high quality from start to finish. 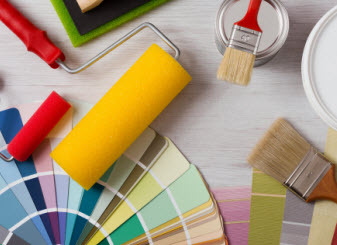 New York Painting Services specialists offer painting consultation we can help you find the right combination of current trends and colors that positively influence a child’s emotions. Faux finishing can create exceptional looking materials like wood, marble, or something such as that to create the fine and luxury materials for less. Custom murals in your child’s playroom can enhance their creativity and imagination and make your kid’s playroom unique. 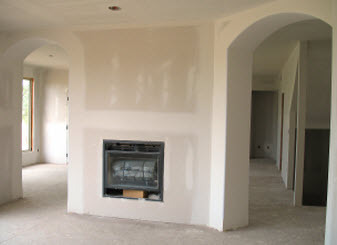 New York Painting Services of New York/New Jersey are masters at handling drywall. Whether you need some drywall removed to open the space, require additions to create storage areas, or simply need repair or replacement due to damage, our technicians can get your playroom exceptional. After drywall area services, the application of paint or whatever wall covering is on the walls to blend in the seams and create a flow. New York Painting Services wall coverings and wallpaper installation, removing, or stripping is in place to service the New York and New Jersey kids’ playroom. 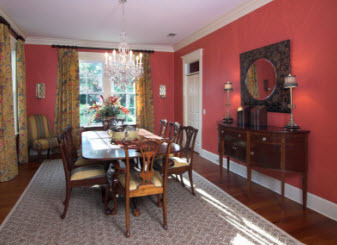 Whether your wallpaper is outdated and you want to upgrade the look, or you are interested in interior painting or trendy wall covering like wainscoting, New York Painting Services experts can make it happen quickly and efficiently. With so many options, and services New York Painting Services offers New York and New Jersey residential customers many options to design the most ideal kids’ playroom to make you and the kids happy. Call New York Painting Services today if you would like to learn more about getting your child’s playroom ready to go.